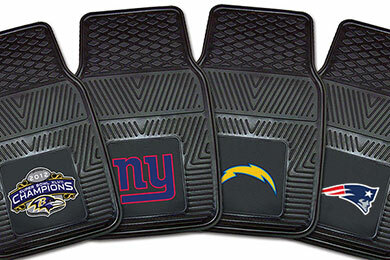 FANMATS 8754 - FANMATS NFL Vinyl Floor Mats - FREE SHIPPING! I am happy with my mats , I just wish they were a better fit...they are a bit small for my honda cr v but just having the logo makes me smile! They are just what I wanted. I got the "Patriots" mats. Heavy duty as I expected. Thanks. 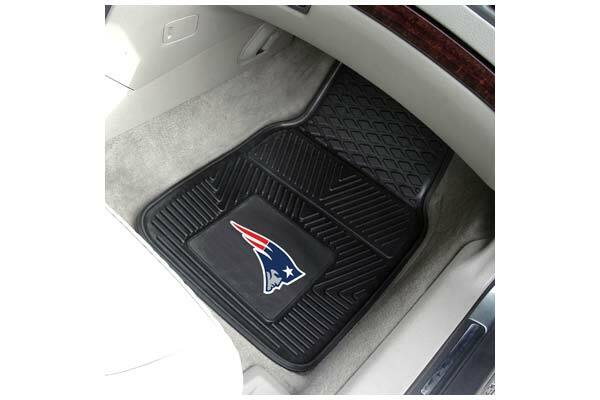 I got these mats for my son for his car on Christmas. I was very impressed with the quality and appearance of the mats, as well as the product being shipped on time and arriving before Christmas day. So far, so good! Very rugged and will be perfect for the winter. Great mats. Ordered another another set for my son-in-law. Excellent quality. Very heavy vinyl. Color Graphics are fantastic. Jealous husband wants a set now that he saw my son's. Reference # 758-167-087 © 2000-2019 AutoAnything, Inc.